This month is the first time the Allure Beauty Box has been put out under its new name – it was previously Sample Society. I LOVED this month! Such great brands, and decent sized products. WTG Allure! I found out about this from my salon and already have the full size and a travel. So glad to have another! It makes my hair silky soft and really protects it. I won’t travel without it! I feel like I’ve been SuperGooped out, but I saw this product on one of the talkshows recently and really wanted to try it. I’m really into setting sprays and so excited this was in the box. 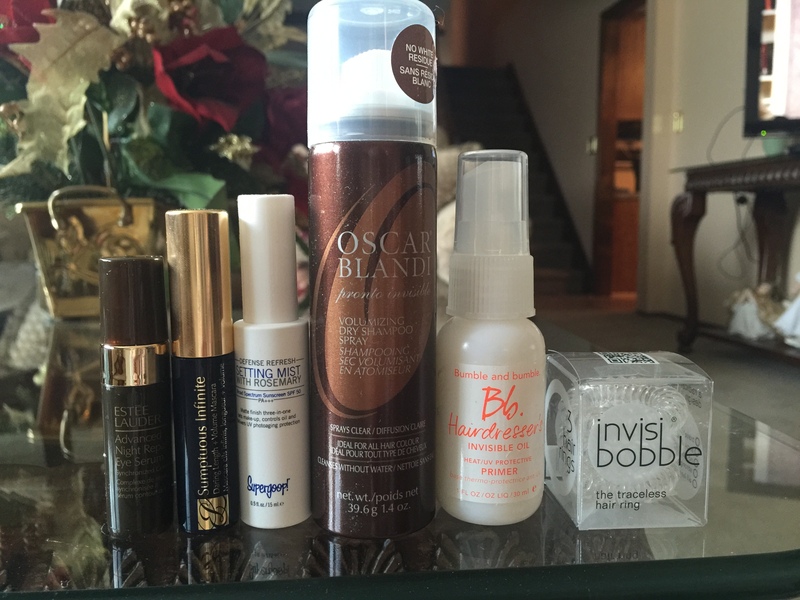 I’ve love these serums forever, and already used a different one. I swear by them and believe they make my skin look so much better. I’ve had this in a bunch of boxes, and it works pretty well so I’m always glad to have more dry shampoo. I just tried this and love it. It definitely brings the volume. This is a clear hairtie that looks like a telephone cord. Super weird, not sure how I feel about it. Overall I LOVED this box. Keep it up Allure!